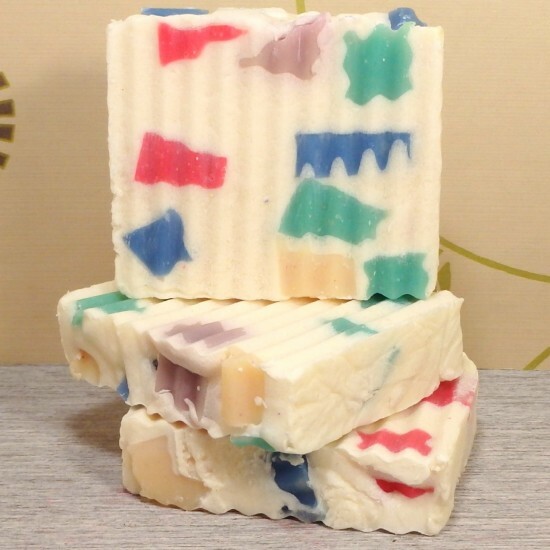 We love making our own soap and have recently begun to sell our excess soap online. Imagine my delight when I received an interesting question about the process of selling soap in Australia. So with permission from the author, I am replying to it publicly and sharing what I know. 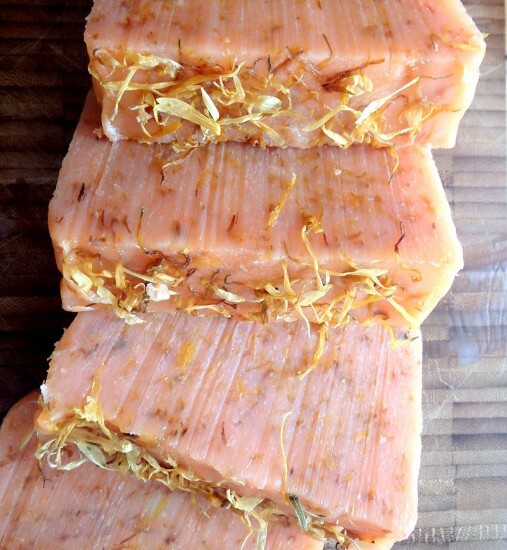 It’s about the rules and legal implications of making and selling your own soap. Over to the question. I have got right into making soap but now I would like to start selling it, are you able to give me a few pointers. Have you actually started selling soap as yet? I’m getting very confused with what is needed or not needed. Have you found an insurer as yet, would love to hear how you get on. Do I have to actually register as a business or can I do it just as a hobby? Is there any costs involved? I know you are a busy person but if I could just get a little advice to help me I would be greatly appreciated. I live in Central NSW so there are not a lot of working opportunities here. Thanks for your question Sue and well done for making your own soap. Yes we do make and sell our own soap in our online store, Little Green Workshops. However, before we did, we had to make sure that we conformed to any relevant legislation and had liability insurance. We make our soap using the Cold Process method, which involves the addition of caustic soda (Lye) to oils or fats which then emulsify and harden via the saponification process. Technically this process is taking a set of ingredients and changing them via chemical reaction and creating a new set of chemicals. In Australia the Department of Health administer the National Industrial Chemicals Notification and Assessment Scheme (NICNAS). The scheme regulates the manufacture of chemicals including those uses for cosmetics. Soaps and other cosmetics and toiletries are made up of industrial chemicals; they are subject to certain requirements under the Industrial Chemicals (Notification and Assessment) Act 1989 (the Act), including NICNAS Registration requirements. Manufacture chemicals (including soap) which are used in cosmetic products. Import packaged cosmetic products for retail sale. Import chemicals which will be used in the formulation of cosmetic products. Soap making utilises a chemical reaction between a fat and an alkali to produce glycerol and soap. Animal or vegetable fat is reacted with an alkali, generally sodium or potassium hydroxide or carbonate, and when the hydrolysis reaction is complete the soap is processed by one of several different methods depending on whether it is being made traditionally or by industrial manufacture. The “cold-process” and “hot-process” methods of soap making both use the saponification reaction. Making soap from products such as “soap bases”, “glycerin blocks” and “melt and pour bases” may not involve a chemical reaction because the saponification reaction has already occurred during the manufacture of the product. So if you use the Melt and Pour method, you do not need to register with NICNAS. However the cost of the ingredients for this method is prohibitive if making in large quantities. As we use the cold-process method which is much cheaper (and more fun), we have registered with the scheme, which in 2015 has cost us $138 per annum. The fee has certainly dropped a lot from when we first enquired in 2010. I gave the Department of Health a call to ask a few questions about the NR-1A registration form. They told me that all I had to do was fill out our business details including our Australian Business Number (ABN), and pay the fee. We also have to adhere to the product labelling laws to ensure that all ingredients are listed on the soap in order of quantity. There are a few other cosmetic labelling rules, but they are pretty simple to comply with. So that’s the legal stuff. The other part is a little more tricky because to gain registration to sell soap you must be a legal entity. Kim registered as a sole trader and has an ABN, and I am her willing volunteer. This also helps us to gain the appropriate business insurance which is essential these days for any small business. We have a business insurance package via YOUI, which includes public liability for our workshops and visitors picking up orders, and a product insurance for any of the products we sell. Small business insurance doesn’t come cheap. Expect to pay at least $500 for an annual policy of $5 million cover as a minimum. It is wise to protect against unknown events, even if you just sell the soap at market stalls. Update 02Oct2015: We have the issue all sorted. I confirmed with our business insurance provider that we were covered to make and sell soap on our site, Little Green Workshops. 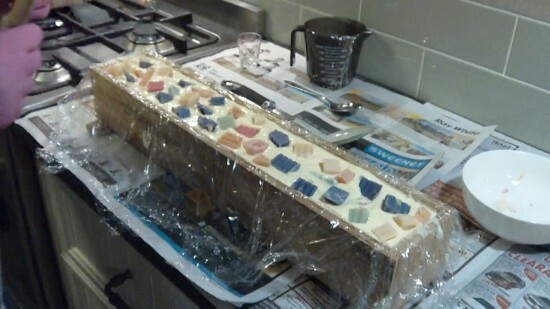 Check out this post for further information; Soap Making Update: Good to Go! We find that we actually sell more soap making kits than we do the actual soap, but that is fine by us as we love making our own soap as well. Because we know that people are time poor and may not have enough hours in the day to make soap as well as trying to start living a more sustainable lifestyle. So there you have it, all I know about selling soap in Australia, besides how to market it which would be a whole new post. I hope that helps Sue and anyone else who may be interested in making and selling their own cold or hot process soap. I am not an expert by a long shot, but I believe we have all the bases covered. If anyone else has more information that would help Sue, please chime in via comment. Hi Bruce. We use Caustic Soda that we source in bulk, however you can buy 500gm containers from Coles (Mechanix brand), or 2 kg (Diggers brand) from Bunnings. As long as it is pure sodium hydroxide and not Draino, then it is fine for soap making. Hi Gavin can I ask you what insurance co you went with (against skin care claims) as I want to sell my cold pressed soaps. YOUI was the company we went with for product insurance. It’s listed in the post. Thank you so much for this info. I had all the pieces, but the order was confusing, especially regarding NICNAS before ABN or ABN before NICNAS. I spoke to an accountant and he insisted not to get the ABN at the beggining because I could be considered a hobbyist and not a business, but apparently from your account one cannot get NICNAS without ABN, am I correct? Hi Anna, best to call the NICNAS hotline to confirm, but the registration form implicitly asks for your registered trading name and ABN. Hi- I recently registered with NICNAS and I do not have an ABN. It wasnt a problem and I called up NICNAS who walked me through the registration process and I left that part blank deliberately. It also asks for the $$$$ value of what you will be manufacturing. We have been making our own cold pressed Soaps for a year now and want to start selling locally. We want to get an ABN but are a bit confused on what to to put down on form as to weather we are manufacturing or retail selling?? Do you know what we should put down on form?? I can’t be much help because soap is only a very small product line of what we sell. We are online retail. Thanks so much for this post Gavin! I am just starting to plan my little soap business journey and this post just answered some questions!! Hi Gavin, thanks so much for this post, it is 2018 and still a current issue. The information given here is so very helpful for those of us who are intending to test the soap business. I’ve been making soaps for more than 10 years mostly as a hobby and giving them away, now I think it is time to start a new adventure. Blessing for your generosity in sharing. Found your post today whilst looking for something else. Am amazed that I have not come across it before. I am just starting my journey on selling soap though have been making it for over 20 years. Like you gave away to friends and family but now need to do something to revitalise my life. Have read all your posts and want to thank you for passing on all this wonderful information. Have bookmarked your page so I can keep up with everything you post.